What is a rhetorical analysis essay? It is a type of critical academic paper considering public speech, film, book, television program or other means of conveying information to the audience. The task of such work is to determine how an author expresses his own thoughts, whether he convinces other people successfully, what is the cultural and social value of his work. If you need to compose a rhetorical analysis, this article will be extremely useful. Rhetoric (Greek) is the science of oratorical art studying the relationship between thought and its expression. The subject of rhetoric is a public argumentation. In different periods, rhetoric was associated with different concepts: as a special genre of literature, as the skill of any kind of speech (written and oral), as a science and art. Already in times of deep antiquity two approaches to understanding rhetoric have emerged. On the one hand, Plato, Socrates, Aristotle, Cicero developed the concept of meaningful rhetoric where one of the main components was the idea (logos). On the other hand, Quintilian's school viewed rhetoric mainly as the art of decorating speech. Therefore, rhetoric has other names: an eloquence, the theory of literature, the art of oratory, etc. The most controversial is the last term. Indeed, is rhetoric a science or an art? Even in antiquity, rhetoric was considered both a science and an art. Some called it the queen of all arts and most closely associated with poetry and scenic skill. Others, in particular Aristotle, stressed that rhetoric is an art of convincing which is based on strictly scientific disciplines - dialectics and logic. Nowadays, rhetoric is more often regarded as a science. It is sometimes defined as the theory of a persuasive communication. There are no contradictions here, both approaches are justified. This is due to the fact that human thinking is carried out in two forms - logical and imaginative, and they correspond to two mutually complementary types of knowledge - science and art. Oratory speech is a kind of emotional and intellectual creativity realized in verbal form: simultaneously, it affects both consciousness and feelings of a person. In fact, the public speaking is a skillful use of both forms of human thought. All people are somehow involved in rhetoric, since, as Aristotle explained, everyone has to know how to refute and to support any opinion, how to justify and to blame it. In fact, there are no such professions where the possession of a word would not be useful. The conceptual law presupposes the systematization of the speech material, a comprehensive analysis of the subject of speech, and the formulation of the basic message idea. With the help of this law, a speaker learns to distinguish between the main and secondary, to situate the material in a certain sequence, to foresee its impact on the audience. 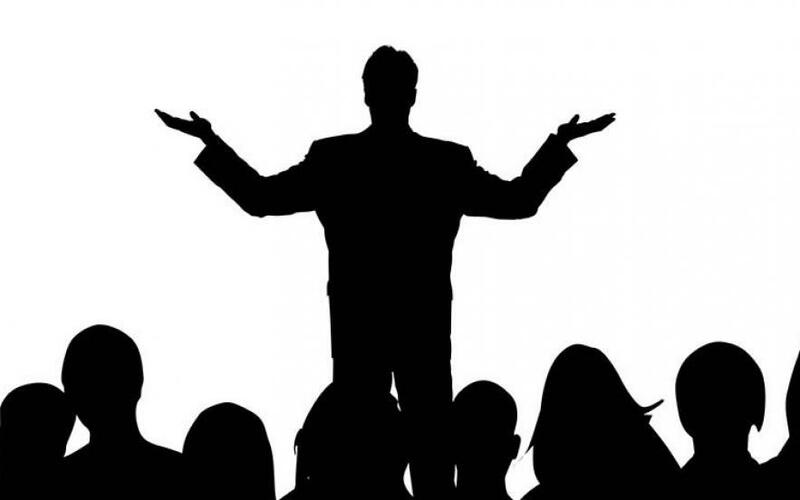 The law of modeling the audience provides for a speaker's knowledge of a public in front of which he will speak. He must have a clear idea of ​​the main features that make up the "portrait" of any audience. The third law of rhetoric determines the speaker's behavior strategy. It's necessary to clarify the purpose of speech, contradictions in the problems studied and ways to resolve them, the main thesis of the speech, own position. The fourth law of rhetoric forms the tactics of composing the speech. It assumes the following sequence of actions: to interest the audience, to call listeners to reflection, to bring them to the level of discussion of the subject of speech. The fifth law of rhetoric demands attention to a verbal expression. It teaches the speech skill, how to cover the thought by an effective verbal form. The law of effective communication forms and develops the ability to establish and maintain contact with an audience, to win its sympathy, attention and interest. A certain system of actions is also envisaged here: managing own behavior, managing a behavior of an audience, correction of a prepared text in the course of the speech. The system-analytic law of rhetoric develops the speaker's ability to identify and evaluate his own impressions of speech and analyze words of others, which helps to improve the skill of public appearances as experience increases. In your rhetorical analysis, you will need to tell how fully an author fulfills these rules. Criticism combines features of several other types of creative, intellectual and aesthetic activity (science, art, journalism). Criticism is secondary. Writing a rhetorical analysis essay is possible only on the basis of the previous creative act. The subject of a literary criticism is a work (a group of works), literary context, process (directions, genres, literary life). The word "context" means not individual texts but the internally integral system - literary array, for example, personalities (works of a certain author), a literary trend, a genre in a certain phase of its historical existence, etc. As mentioned above, literary criticism is linked with three spheres of human life: art, science, and journalism. A Rhetorical analysis essay rubric may be found in press, regular publications of scientific and literary communities, which indicates a universality of such reviews. They are useful wherever a third-party evaluation of an independent critic is required. Criticism is related to art by creativity. It is an author's self-expression which involves the use of figurative-expressive means similar to means of literature. However, criticism is separate from literature (as any description is not equal to its subject). Due to this, it fulfills a special task. Having merged with literature, it would become a mirror trying to reflect itself. For criticism, the research and educational system are inalienable values. In literature, they are optional. Criticism retains at least a minimum of objectivity and facts. Literature can be a completely subjective fiction. The common property of a good rhetorical analysis essay and science is an exploratory character, a desire to discover objective truth, the use of analytical operations for a study of a subject. The development of criticism directly depends on the development of scientific ideas, primarily philological. Criticism, in one way or another, borrows the conceptual system of science. However, science has only the one task - cognitive research. But criticism has other purposes. Among them, the most important are assessment (judgment about the quality of the work under consideration) and aesthetic review - the expressing of certain views on artistic properties of the subject of analysis. Criticism is tied with journalism by relevance, which is a professional value in both these spheres. Criticism, by its nature, is aimed at new subjects. The novelty of topics for rhetorical analysis essay makes it interesting for criticism. However, unlike journalism, criticism does not put fresh information in a number of primary values. But more than journalism, it is characterized by a research setting. A critic is almost always a researcher, and a publicist is almost always a reporter. Normative evaluation: criticism evaluates a work, expresses judgments about the norms of literary creativity, deals with the "codification" of the language of the arts. Didactic (teaching): criticism teaches the reader to read, the writer - to write. Also, criticism often seeks to teach society on the basis of literary examples. Communicative: criticism is a functional process that forms a space for professional communication, in which the reader meets with another reader, the writer - with another writer, with the reader of his and others' books, a space in which all "subjects" of literature see and hear each other. First of all, you have to indicate the most important parts of a rhetorical analysis essay which are traditionally called SOAPSTone (abbreviation of words Speaker, Occasion, Audience, Purpose, Subject, and Tone). To a large extent, the effectiveness of the impact of an author depends on the degree of audience's sympathy to him. If an authoritative, respected person has to say just a few simple phrases, a person who is not known to the audience has to pronounce a complex, precisely planned speech to achieve the same result. One of the most important components of a rhetorical analysis essay format is the evaluation of the speaker's relationship with the intended audience. The speaker is predictable. The audience, having got acquainted with him, already knows what may be expected from the new appeal. The image of the author is the guarantee of the stability of judgments and reactions to speech (book, television program, etc.) The audience wants stability. Therefore, the speaker, for the sake of the unity of his image, should not change his views even under pain of death. The orator mask (the image of the speaker) is the first layer of content that the audience reads. Seeing the author, people already suggest the general semantic direction of his speech. As a rule, the audience's attitude towards the speaker is caused by his previous actions. However, it happens that it is associated with the social, professional or other status of the speaker. In some cases, this status works in favor, in others - on the contrary (for example: a female lecturer in front of a male audience in Central Asia). Comprehension of the speaker's image is important both for preparation of rhetorical analysis essay assignment and for compiling own speech. In rhetoric, the term "speech situation" is used. This is one of the basic units of verbal and written communication. The concept of a speech situation includes the sphere of communication, the subject of utterance, conditions, circumstances under which work was composed, social connections, personal relationships between the author and the audience, goals, tasks of speaker's actions and deeds. The sphere of communication and the subject of speech determine the choice of a functional version of the language. In direct communication with others, we use colloquial speech, in the field of scientific activity - scientific style, in public relations - journalistic style, in the sphere of official relations - an official business style, mainly in writing. In its external conditions, communication can be official, requiring compliance with all norms, rules, formalities (it is characterized by a dispassionate, reserved tone) and informal (a friendly appeal to readers or listeners). Official communication can be personal, direct (business conversation, for example) and public (speech on radio, television, lecture, report). The second category is most suitable for a critical rhetorical analysis essay. The social position, roles of the speakers and their personal relationships leave a mark on the determining of language facilities. In all cases, a correct choice from a functional variety of linguistic means appropriate to a specific speech, a social situation is necessary. The imprint on the choice of language facilities is also imposed by the number of people participating in the communication. Whether you write a letter for one person or a publication intended for a wide range of readers, this will determine the choice of words, construction of sentences, a general plan, composition of the speech, arguments, direction of thought, used an actual material, a pace of speech. Important components of the speech situation are goals and tasks of communication. Depending on them, means of the corresponding language, appropriate style are used. Determining the characteristics of the audience is also one of the important steps to writing a rhetorical analysis essay. The composition, direction in the disclosure of content, language means of expression are dictated to the speaker by features of the audience. All parameters of the analysis of the audience can be divided into objective and subjective. The objective parameters do not depend on the speaker and his speech. Integral features of the audience include demographic and intellectual characteristics. social status (workers, peasants, intelligentsia) and position (officials, teachers), since social and economic characteristics often have a significant impact on views, tastes, and beliefs of people. This category includes the identification of situational groups associated with the state of society (for example, refugees). The characteristics recognized as important must necessarily be taken into account while starting a rhetorical analysis essay. The main impulse for the creation of speech (text, work of art) and the central category of the understanding of the nature of rhetoric is the target setting (communicative intentions of the rhetorician). The purpose of speech is the idea of ​​the overall result that must be achieved in the process of speaking. In the modern theory of rhetoric, the following types of goals may be singled out as the most common in oratorical practice: informational, protocol-etiquette, persuasive, inviting to action, entertaining speech. The purpose of the informational speech is to convey data called to create a new knowledge of the audience about objects and phenomena of the objective world. Protocol-etiquette speech aims to observe the traditions of communication in a certain official situation, the fulfillment of the corresponding requirements of etiquette, ritual. It is accompanied by the creation of a certain emotional mood of the addressee (most often, joy, pride). In a persuasive speech, the speaker aims to make the audience believe in the correctness of his point of view, to logically prove or disprove any propositions, to explain the essence of phenomena and their interconnection. The speech inviting to action contains direct instructions on what to do and what for. The purpose of the entertaining speech is to raise the mood of listeners, entertain the audience. The general goal (to inform, to convince, etc.) is clarified in the speech of the speaker and turns into the task. So, for example, when speaking at a scientific conference, the author pursues the goal of informing the listeners. This goal gets its actualization in tasks of speech - to tell about results of the scientific experiment, to present a new procedure for a scientific analysis. Or the author tells, for example, to shareholders about the justification of a proposal to amend the company's charter. In this case, the purpose of speech is a conviction. The task is to convince the group of shareholders to revise the contents of the charter and to make necessary amendments to it. Thus, implementation of purpose and tasks of speech testifies to the realization of the category of pathos (we will talk about it later) in the process of forming the concept of speech. In the overwhelming majority of cases, at the initial stage of preparation the speaker knows only the subject of work. For example, there is a significant event in connection with which it is necessary to read the speech, or a journalist was instructed to prepare an article on some topic. It is clear that such a task is not enough to clearly define what exactly one should say in a speech. The theme of a speech is chosen in the framework of its subject depending on how interesting it is for the audience, known to the speaker, easy, and so on. The subject of speech combines many topics. In each specific case, the relationship between the subject and its theme depends on three main factors: the permissible amount of work, knowledge, and interests of the audience. To demonstrate this, let's consider an example. A lecturer who reads a whole course on rhetoric has more possibilities for detailing than a lecturer who must tell about rhetoric as a whole within an hour. Therefore, in the first case, the lecturer can reveal many topics. In the second case, he most likely will have to confine himself to one very general topic. It is unlikely that he will be able to touch on several topics because then his speech will be too superficial. However, in both cases, the same subject is involved, which is simply treated and divided into segments differently. The theme of a speech can be compared with a magnifying glass through which its subject is studied. Depending on the size and strength of the magnifying glass, an object appears before us in different ways. If it is large, many aspects are accessible without moving the glass, while we can see only a small fragment of the theme through a small glass. Formulating the topic, the author of the speech actually chooses the “glass” with which he, together with his listeners, will consider the subject. That is why he can either consider it superficially (that is, to use a weak magnifying glass) or dwell on a more particular aspect that will be studied thoroughly (to use a strong glass). While writing a rhetorical analysis college essay, it should be taken into account that not all magnifying glasses suit a certain audience. The more knowledgeable the audience is, the higher the level of its education, the more appropriate is the choice of a particular topic (the use of a strong magnifying glass), that is, a detailed consideration of a question and the use of a large number of arguments in favor of stated point of view. In addition, a lot depends on time: if it is limited, most likely, details will be inappropriate. The general tone of speech is determined by the purpose and content of the work in the process of creating the text. It is formed by selecting the necessary vocabulary and corresponding syntactic constructions. The speaker's thinking culture is an intellectual base, the level of which determines the quality of oratorical activity in general and, in terms of content, in particular. This feature manifests itself in the ability of the speaker to develop a concept of his speech. In rhetoric, the meaning of this term is formed taking into account all above mentioned lexical and semantic variants of the word, but at the same time, it is concretized acquiring a quite definite content. The concept is the sum of a knowledge about the subject of speech, expressed in a concise, clear, consistently unfolding form. The development of the concept is not a one-time act. A system of sequential intellectual actions is required. The logic of mastering the topic involves a phased approach - a strict sequence of steps in creating a concept. Even a small presentation requires the development of a concept in order to be truly qualitative, effective. The subject of speech can be a person, a book, an event, some process, a natural phenomenon, a group of persons, the properties of someone or something, an idea, an aphorism, etc. Anyway, a clear and accessible presentation of the topic, problems, and their correct coverage are directly connected with the competent development of the concept which is the basis of the speech. In your essay, you should analyze how accurately the concept is presented by the author. Aristotle was the first to determine the three main methods of convincing listeners: ethos, pathos, and logos. You should know the meaning of these terms to understand how to do a rhetorical analysis essay. Ethos is a verbal demonstration of speaker's personal qualities convincing the audience what exactly this speaker should be trusted. Well, for example, if we are talking about football, then a trustworthy speaker is a notorious football player himself, or a coach - he knows what he is talking about. Or he spent a lot of time analyzing football and making predictions that almost always came true. And also (this is important), the personal charm of the speaker comes into play. This is also an ethos. Usually, we want to believe in charming people. Pathos is an appeal to the feelings of the public, the ability to evoke fun or sadness, spiritual uplift through some verbal images. If we are talking about football again, for example, the US team must get at least to the semifinal of the World Cup. The speaker collects money for the special fund of support, and the exploits of the past come into action, both command and individual: a tournament which the team won before; Mr. N was the best goalkeeper in the world in that era; personal tragedies took place in life of members of the team and coaching staff. In short, everything that causes emotions in the listeners and makes them feel sympathy is used. There are the following types of pathos which are often mentioned in instructive articles for rhetorical analysis essay writing: heroic, sentimental, romantic, naturalistic and ironic. Heroic pathos excludes inner reflection. Its main personality is a hero in a tragic situation. Heroic pathos is characterized by the appropriate selection of words (high style) and the exclusivity of characters. Aristotle advised to appeal to young people with heroic pathos. The antipode of heroic pathos is sentimental pathos, which relates to a reflecting person. It analyzes the motives of his actions and experiences them. It should be taken into account that sentimental pathos hinders the decision-making. Romantic pathos also includes reflection. But it sets the need for choice because there is an explicit motive of chaos in it. 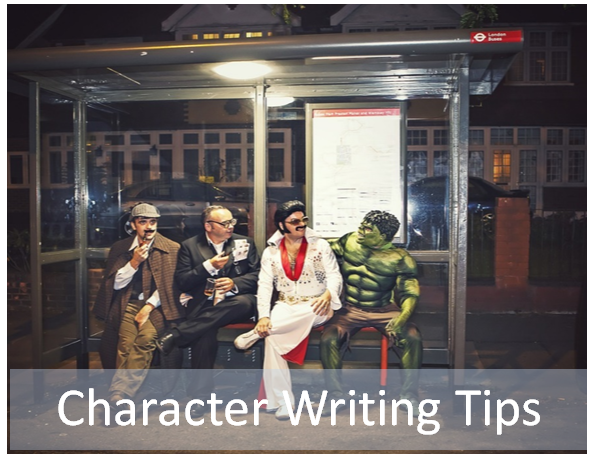 It is used when the author wants to force the hero to a strong decision. Naturalistic pathos suggests that the public adheres to a realistic position, believes only palpable things which can be seen. A particular fact is opposed to abstract ideas, as a result of which a common, standard perception of reality is created. Naturalistic pathos leads to criticism, to stagnation of actions. The ironic pathos is democratic and destructive. So, its excessive use is dangerous. The main task of the speaker is to reach an agreement with the audience through dialogue. The rhetoric of modern mass communication is based on realistic pathos. Sport, art, love, science, religion are full of theatrical features. The human of mass communication is satisfied with what he can imagine and strive for - to become a sportsman, a detective, a superman, a millionaire. And his earthly life passes in these substitutions. Rhetorical emotion is a direction of pathos towards a specific positive or negative value, for example, patriotism, love, courage, compassion, knowledge, faith. Mention in your “ethos, pathos, logos rhetorical analysis” essay which of them did author want to create. Love is the main rhetorical emotion, on the basis of which all the others are built. Speech technique causing attraction is relatively simple. Sentimental pathos is associated with internal conflict. If a person wants something but is not able or is afraid to realize what he has conceived, a feeling of protest arises. In this case, he seeks for the most painless and simple way out of the situation. This is the basis for the mechanism of promotion. Therefore, you should search for an appeal to emotions in texts and speeches when writing a rhetorical analysis essay on advertisement. The term “logos” means substantiation through logical constructions, statements which can't be argued. For example, the US team needs to break into the semifinals, because it will raise the national self-esteem of Americans. This is a proof that Americans can achieve everything when they really want to. There is a serious problem here, which should be taken into account while considering components of a rhetorical analysis essay. The fact is that, in our time when there are atheists around and everywhere, the art of rhetoric is perceived by the majority of people simply as a deception. What is even worse, in the vast majority of cases, ethos, pathos, and logos are really used solely to impose a certain point of view for the sake of a self-profit. Cases, when rhetorical methods are used for good deeds, are rare, and in the media, they almost don’t occur (one exception for ten thousand cases does not change the situation). Often rhetoric is misused by producers of various goods trying to sell completely useless things to clients who do not need them, during business negotiations about large sums of money. Therefore, writing a rhetorical analysis commercial essay, you must accurately determine the goals of the author who used persuasion methods. How to start a rhetorical analysis essay? First of all, the reviewer should carefully study the material. Depending on the purpose of writing analysis essays, various styles can be used: journalistic or scientific. The main type of speech is reasoning. The narration is conducted exclusively in a reserved tone, without an excessive emotionality. Data about the author, title. Brief narration of the content of the considered work (one or two sentences). Feedback - your own impressions. Critical analysis: evaluation of the form, features of composition, mastery of the author and style of presentation. This is the most important part of the essay. Here you should consider the aspects that were described in detail in this article (SOAPSTone, ethos, pathos, logos). Allocation of merits and demerits. Reasoned evaluation of the whole work. Rhetorical analysis essay titles can be chosen at the very end when you will clearly see all the features of the finished text and will be able to express them in a short phrase. Bibliographic description - title, author, his place of study or work. The main part: assessment of the relevance of the topic and the completeness of its disclosure; analysis of the text from the point of view of the logical structure, the sufficiency of the number of citations which confirm a deep theoretical study of the question; conformity of the methods used to the stated objective of the study; degree of accomplishment of assigned tasks and achievement of the goal. Scientific and practical value of the work. Compliance with the standards of guidelines, literacy. Recommendations: on the final evaluation - for courseworks, control papers, etc. ; on the possibility of publication - for articles, abstracts, reports, etc. ; on awarding a scientific degree - for master's and doctoral dissertations. Data about the reviewer: name, post, scientific status, place of work. First of all, the review must be objective: the primary source is evaluated from the standpoint of the scientific, practical or artistic significance independently, without taking into account personal views and preferences of the critic. Try not to overload the text with minor details. Provide an evidence base. The reviewer must justify his own opinion and attitude to the subject. If a work of art is reviewed, the main task is to disclose the points to which the layman may not pay attention. Less retelling, more personal impressions. The review must necessarily describe the content of the book. But this does not mean that you should give a brief report about everything that happens on its pages. It's unlikely that people who did not read the work will thank you for disclosure of all the secrets. Avoid expressive vocabulary, slang, etc. The review should be understandable to a wide range of readers and not contain insults of the author of the original source. For example, if you write “I Have a Dream” rhetorical analysis essay, your personal attitude to Martin Luther King does not matter. Even if you do not sympathize with this person, every word should be considered with the utmost logic and honesty. More often ask yourself the question "Why?" Why did you like the book? Why did you get annoyed by heroes? Why did you want to read other works of the author? Why will you never advise this book to some people? Why could not you finish reading it? Why did you cry or laugh during the reading? Answering such questions, you will get almost a ready review at the exit. It is believed that good work should necessarily have several interpretations. If you consider what is happening in the book in your own way, tell about it in the review. It's no secret that any book is not a writer's monologue but a dialogue between the author and the reader. And the more interpretations it has, the more interesting it is to look for new meanings. Compare the book with other works of the author. If you read not only the book under review but also other works of the writer, try to compare them. Determine whether it characterizes this author. Or does he try own abilities in a new manner? Ask yourself, did this work look different in comparison with already read books? Did you like it more or less? Tell about the audience that will be interested in the book. Do you understand that it is optimistic enough to support a person in a difficult moment? Do you think that the novel should be read by romantic persons? Are you sure that you just discovered a treasure that fans of intellectual prose will appreciate? Then be sure to write about it in your review. Associations and comparisons adorn the review. If the book resurrects the familiar scenes in your memory, then this can be very interesting. It is better not to compare on the principle "better or worse" but to find different and common features in several works. If the book has caused an association with music, other book or picture, do not forget to mention about it in a comparative rhetorical analysis essay. How to start off a rhetorical analysis essay? The hardest thing is to start writing. Those who have ever tried writing a short essay know that this is the truth and not a vulgar pseudo-paradox like "I'm not rich enough to buy cheap things". So, how to start a rhetorical analysis essay introduction if you have no ideas? Give yourself the freedom to write when you feel the inner push and do not write when there is no inspiration. Wait for the necessary state of mind. But let's clarify: "waiting" does not mean doing nothing, spending time on ordinary things or entertainment. "Waiting" means doing preparatory work: writing notes, sorting them, keeping a diary, translating, rewriting favorite fragments of works by other authors, etc. It is worth noting that the idea that comes to mind at the wave of inspiration is not similar to the brilliant content that is presented in the textbooks. It is just the working idea, sometimes banal, which allows the author to concentrate and connect heterogeneous material by certain common features. To come up with good rhetorical analysis essay topics, it is necessary to think about ideas until they are completely disclosed. Otherwise, your words will be not convincing. Make sketches. Reflect in the plan everything you want to write, the scene after the scene, literally all the way to the very end. Do not look back until you reach the final. Use every free minute to write something, whether it's even one sentence. The extreme case: do not plan any official time for writing, just use the free moments of your day. Do not think, just write. Do not worry about unsuccessful pieces. You can correct them later. The main thing here is to work regularly. With all the creative features, the writer's activities are as painstaking as any other work by 90%. Regularity requires the correct organization of the workplace. You can write in the morning or in the evening, at the table or on the couch - just everywhere, but the chosen place must be permanent. In general, there are as many methods of work as types of people. 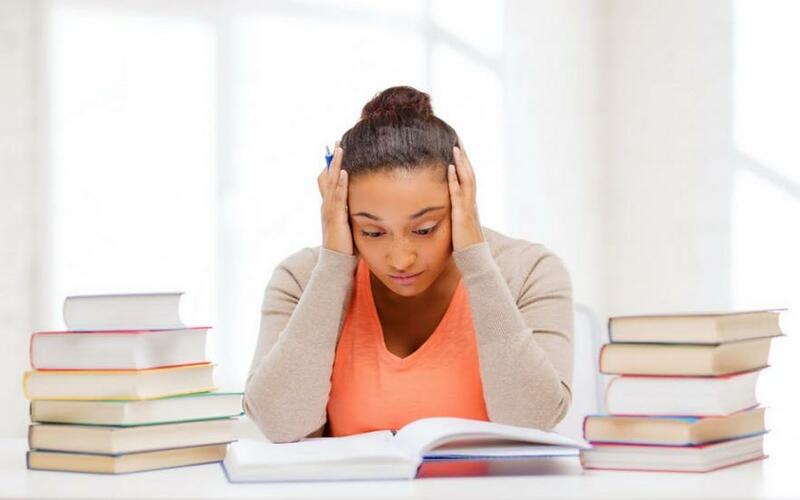 One author may sit down and don’t stop until the final word in a rhetorical analysis essay conclusion is written, another - getting to a certain point, suddenly stops and is able to return to what was started only after a long period of time. It is very important to determine own psychological characteristics, to plan daily routine and work schedule in accordance with them. 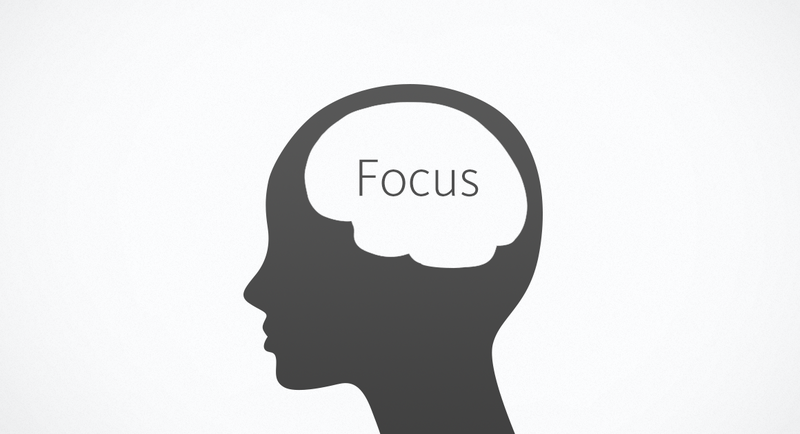 The problem of concentration is very important and relevant for creative work. The first thing you need to learn is not to be distracted by trifles. Turn off TV, radio. Delete all the games on your computer. What is more important for you: writing or watching TV? Determine it. The same applies to reading e-mail, blogs and surfing on the network. The main difficulty of writing, unlike any other work, is that it requires loneliness and full immersion in yourself. By the way, the charm of essay writing is also associated with this feature. Therefore, starting to compile the introduction of rhetorical analysis essay, it is necessary to leave society for some time. Books hinder the regular work of the writer no less than the mass media - the very books that are necessary in the preparatory period. It happens that, being carried away by other people's works, the author forgets to write his own. Of course, books are needed in the process of work, as well as the Internet. For example, when translating, it is more convenient to search for the necessary words in on-line dictionaries. Electronic encyclopedias are also useful. It seems that they have already supplanted the ordinary editions. Here it is necessary to repeat what was written before: you should separate different processes from each other. All the necessary material should be at hand when you start creating a rhetorical analysis essay template. If there is not enough data, it is necessary to interrupt the writing of the essay and to start collecting materials again. How to write a rhetorical analysis essay persuasively? What is the purpose of a rhetorical analysis essay? It is necessary to convince the reader of your point of view about the work under consideration. What methods are appropriate for stating a thesis and its argumentation? How to use ethos, pathos, and logos skillfully? Primarily logic affects the human mind, but without affecting feelings, it is not always possible to obtain convincing proof. In other words, it is possible to prove but not to convince. On the other hand, by influencing feelings and neglecting logical means of substantiating the thesis, one can persuade but not prove. Therefore, in order for the proof to be convincing, and the conviction to be conclusive, you must use both logical and non-logical methods of substantiating the thesis. Non-logical methods (pathos) are widely spread in rhetoric. They strengthen the expressiveness of speech, give it brightness, emotionality thus affecting the feelings of a person. For this purpose, comparisons, epithets, metaphors, repetitions, amplifying imagery and emotionality of the process of proof are used. Of particular importance are the intonation and the pace of the speech (if you write an essay about public performance, movie or song), skillful use of pauses, gestures, facial expressions, etc. The argument to the person is not the logical basis of the thesis. But it is acceptable in the argument as an additional means characterizing, for example, the offender. Using the argument to the public, the speaker seeks to evoke certain feelings of listeners, to influence their attitude to the issue under discussion. This reinforces the argumentation, but the argument to the public should not replace the logical evidence of the thesis. The same applies to the argument to authority, when the rationale is supported by the statement of a well-known scientist, philosopher, politician. This method can be used while considering serious documents, for example, in “Declaration of Independence rhetorical analysis” essay, but only as an additional technique. There are techniques of influence that are incompatible with both logic and argumentation: demagoguery, suggestion, "infection" and sophistry. Demagogy aims to mislead people with the help of distorting facts, lying promises, flattery, adapting to their tastes, moods. In this case, arguments to ignorance and profit are often used. Demagogy is related to populism used by some politicians uttering promises, knowing that they will not be fulfilled. Demagogue seeks to influence the feelings of people with the help of creating a certain mood. But by manipulating facts, creating the appearance of proof of the propositions put forward, he uses sophistry deliberately violating the rules of logic. Suggestion is often combined with "infection", when a person, appealing to people, seeks to influence them by emotional state, feelings, attitude to the ideas put forward. Infecting them with his emotions, glowing passion, he seeks to evoke a common mental state in audience. In the process of substantiating the truth or falsity of the thesis, logical errors arising in the event of violation of certain rules are possible. It is important to avoid them while considering the book of other author and deciding how to organize a rhetorical analysis essay of his work. If you make a critical review of someone else's text, your own paper should be, at least, not worse. According to the structure of the evidence, the basic recommendations are usually divided into the rules of the thesis, arguments, and demonstration. 1. How to write a thesis statement for a rhetorical analysis essay? First of all, it should be formulated clearly. This rule is based on the principle of identity which requires the unambiguousness of the concepts expressed in the thesis, the clarity of judgment, unchanged form in which the statement is formulated, indication of its quantitative characteristics (it is impossible to prove the thesis related to some people, claiming that it applies to everyone). An example of violation of this rule is the pre-election TV advertisement "We will make Americans rich". Firstly, it is not clear who "we" are. Secondly, it is not indicated whether all Americans or only some of them will become rich. Thirdly, the concept "rich" is vague and relative. Under wealth, one can understand both material and spiritual goods, wealth of knowledge, ideas, and so on. In other words, this provision can be interpreted and understood in different ways. 2. The thesis must remain unchanged throughout the proof. This rule, like the previous one, is based on the principle of identity. It does not exclude the clarification of the thesis in the process of writing if it is formulated with insufficient certainty. But the content of the thesis should not change. There should be no substitution when the proof of a new thesis is presented as the proof of the statement advanced initially. Substitution of the thesis is a serious logical mistake. It can be partial or complete. Partial substitution of the thesis means its weakening or strengthening. For example, putting forward the thesis "This action is a crime", author proves the weakened thesis "This action is a violation". But a violation is not necessarily a criminal act. It may be just non-fulfillment of administrative or disciplinary norms. While refuting the opponent's point of view, his thesis is usually strengthened. For example, in order to refute the thesis "Many lawyers are good speakers", it is substituted with an enhanced version "All lawyers are good speakers". It is not difficult to prove its falsity. How do you write a rhetorical analysis essay? Did you clearly understand the author's intention? Do you challenge or agree with his exact vision without changing its meaning? Keep track of this while you work. The complete substitution means the nomination of a new thesis which is often similar to the statement put forward initially, but not identical to it. One of the varieties of this error is a logical diversion. The author, putting forward some thesis and not finding arguments for proof, tries to shift the attention of the reader to a discussion of another issue. 1. Arguments must be true. The use of false data leads to a logical error misleading the readers. In addition, statements of the author should be proven provisions. Failure to comply with this requirement leads to error - the ungrounded expectancy. Let us give an example. Recognition of a man's guilt was once considered the most reliable argument. In the legislation of some countries, the personal confession of the accused was seen as the best proof of his guilt. To achieve it, all possible methods of influence, including physical ones, were applied. But personal confession can be both true and false and, therefore, is not a sufficient basis of accusation. It is stated in the modern legislation that the personal confession of one's guilt can be used as the basis of the accusation only with the confirmation of totality of evidence in the case. 2. Arguments must be judgments the truth of which is substantiated regardless of the thesis. The main statement is sometimes justified by a reference to the thesis. This leads to a logical error - a circle in the proof: the argument is justified by the thesis, the thesis - by the argument. In such a case, author does not know how to end a rhetorical analysis essay and, as a result, his paper does not bear any useful conclusions. 3. Arguments should be sufficient for the thesis. This rule is violated if there are not enough or too many arguments. In the first case, the arguments will not be sufficient to justify the truth or falsity of the thesis. Therefore, proving little, the author does not prove anything. In the second case, the excess of arguments deprives the proof of clarity, makes it vulnerable to criticism. It is easier to find "weak links": unproven and contradictory arguments. Therefore, proving much, the author also does not prove anything. These rules will help you to understand how to conclude a rhetorical analysis essay. The demonstration usually takes the form of one or more interconnected inferences where arguments are prerequisites, and the thesis is a conclusion drawn from them. Regardless of the type of inference, it is necessary to observe the rule "there must be a logical connection between the thesis and arguments". Its violation leads to a logical error - imaginary following, indicating the absence of such a connection. This means that the thesis does not follow from the argument. For example, the thesis "He's healthy" does not follow from the statement "He has a normal temperature". Some diseases, as it is known, occur without a rise in temperature. The error in reasoning can be avoided if you’ll construct a demonstration in the form of conditionally-categorical connections in a rhetorical analysis essay outline. The transition from conditional to unconditional. This means that the argument, true under certain conditions, is considered irrespective of these conditions. For example, it does not follow from a recommendation to take antibiotics during an illness that such meds should be taken by everyone who is sick with any disease. The transition from separating to collective meaning. The argument, true for a part of some unity, is used to substantiate a thesis relating to the entire unity. So, it does not follow from the argument about the benefits of winter swimming in the sea for prepared people that such procedures are useful to everyone. The transition from collective to separating meaning. The truth said in the collective sense is regarded as an argument with respect to what was said in the separating sense. In other words, what is true for some unity does not apply to every element of this unity. For example, the positive characteristic of the entire student group is not sufficient for a good characteristic of each student of this group. How to format a rhetorical analysis essay? Creation of a rhetorical analysis essay layout is the last step which should not be underestimated. The appearance of the publication plays an important role. It contributes not only to the aesthetic pleasure of the reader but also to the correct understanding of the text. There are two main elements in the formatting of the academic paper: the technical design (correspondence to official norms, general view of the text) and editing (absence of lexical, syntactic, logical and other errors). 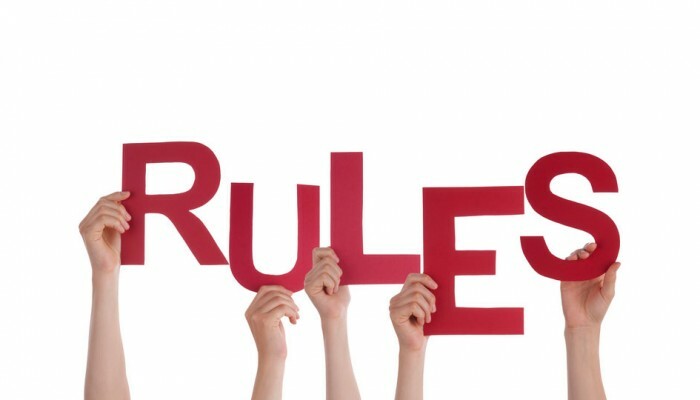 Knowing a number of simple rules, already in the process of writing an article, you can arrange it correctly. And at the final stage, it will not be necessary to spend extra time to formatting - the essay will be 100% ready for publication. So, how to set up a rhetorical analysis essay? Formatting of any text document involves the work with font, its size, color, alignment, fields, hyphenation, indentation of the first line, intervals of paragraphs, headings, removal of unnecessary spaces, inserting page breaks in the right places, formatting tables, lists and figures (if any), adding headers, footers and page numbers, checking the structure of the document, compiling the table of contents. We hope that this article was useful and it will be easy for you to write own paper. It’s recommended to find good essays for rhetorical analysis and to regularly train on them. Analyzing the texts of a small volume, eventually, you will be able to proceed to the fundamental literary works and complex scientific researches. Now you only need to gain experience that is a guarantee of success in any business. Do not be afraid of difficulties and show your creative talents or just ask our essay writing service to help you. Good luck! 2. How to write a rhetorical analysis essay? 3. How to start off a rhetorical analysis essay? 4. How to write a rhetorical analysis essay? 6. How to format a rhetorical analysis essay?